So far I've already covered my previous failures and some disturbing new info about feeding babies, in part one of my baby food series. If you're looking for a happier success story and a great formula alternative, check out part two. 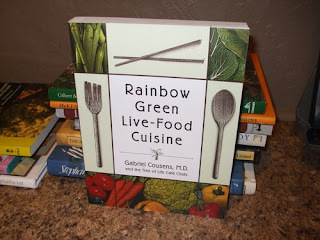 Most of my baby food journey has been dictated by Rainbow Green Live-Food Cuisine by Gabriel Cousens, MD. 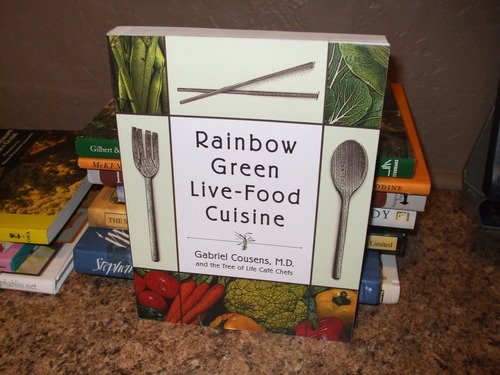 This book is all about raw food, and it has a handy-dandy baby-food section in the back. I, myself, am not a completely raw foodie. In fact, it's a smaller percentage of my diet than I'd like to admit, but that is a long story that I will probably blog about another time. Let's just skip to the end where I see the health benefits of raw food and wish to incorporate those things into my children's lives as much as possible. I don't expect, nor want, them to be completely raw either. 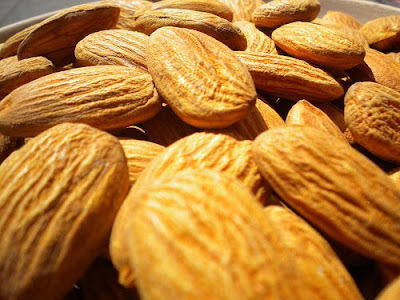 But I do want them to appreciate the value it plays in their diet and be willing to incorporate it as much as possible. Plus, raw flavors are so strong and so delicious, I don't want my children's senses so deadened by synthetic processed food that they don't appreciate natural food in its purest form. 1. I know it's a great start for my baby's digestive and immune system, and I truly believe these first foods are important to setting my kids up for health success. 2. Since I'm making small portions, the price is even more manageable than it is for me. 3. Everything tastes delicious. If my baby doesn't eat it, I will! 1. Buy organic based on the "dirty dozen." Add carrots to that list. Gardeners use carrots to clean the soil. Carrots naturally pull the toxins out of the soil--great tip for if you want to clean up your garden; the main reason you don't want to eat conventional carrots! If it's not on the dirty dozen list, then go ahead and buy conventional. Depending on where you live, places like Aldi and Trader Joe's sell produce for insanely cheap prices, making healthy eating really affordable. Also, there are tons of veggie wash recipes available online--or you can make it as simple as soaking your produce in apple cider vinegar/water, or rubbing your produce down with grapefruit extract to get it clean and pesticide free. 2. Take some time to learn your stores. I know the prices and availability of all organic and natural ingredients available from all of the stores in my area, not just the health stores. You can find a lot in Wal-mart and Target nowadays, but they aren't always the cheapest. If it's a store you don't frequent often, be sure to stock up on your favorite items when do go there. A lot of stuff is cheap on Amazon too! 3. It's summer time! Shop the farmers markets in your area. The more local, the less steps between field and your plate. 5. If you keep eating the same junk you've always eaten and just want to provide healthy stuff for your baby, you're setting yourself up for failure. First of all, stocking a healthy and junky pantry is expensive. Second, you won't stick with the healthy food because the junky food is much, much more convenient. 6. Get educated. Know what processed foods, dairy, high fructose corn syrup, artificial dyes, fragrances, heavy-meat diets, and more do to your body. When you know what you're doing to you/your baby's body, you'll think twice before you buy/eat it. If you live in intentional ignorant bliss, you will easily derail. 7. Get support. Surround yourself with other people who are committed to eating/feeding their children properly. There's strength in numbers. More specifics on which foods I started my baby on next time. 3 C coconut water (you can get from young thai coconuts available at Whole Foods, easy to open and fairly cheap . . . or you can get it in the drink section at WF in boxes). Process all ingredients in blender until smooth. Can warm for babies to same temp as mother's milk. Don't overheat. Let it cool. (I had to pour this through cheese cloth to get the almond grit out). When I made this recipe, I didn't have a lot of hope for making it work, and I was really overwhelmed with the price of the ingredients I was buying. Three years later, I now know my way around the health food store a lot more, and I know the cheapest organic/raw food prices from box stories to specialty stores. My point is that your success with this recipe is all about attitude. I had a skeptical attitude when I made it, so I was looking for reasons for it not to work. When you're looking for an excuse to fail, you'll always find it. 1. I demand fed during the day. The more I nursed, the more supply I had for the next feeding. 2. I drank lots of water and went to a fruit/veggie-heavy diet. 3. I took the supplements--all of them. I didn't skimp on them this time. I even drank the nasty tea. I would've used the almond mylk, but I didn't end up needing it. We made it to six months on breast milk only! My baby's first-food details coming up in part three. 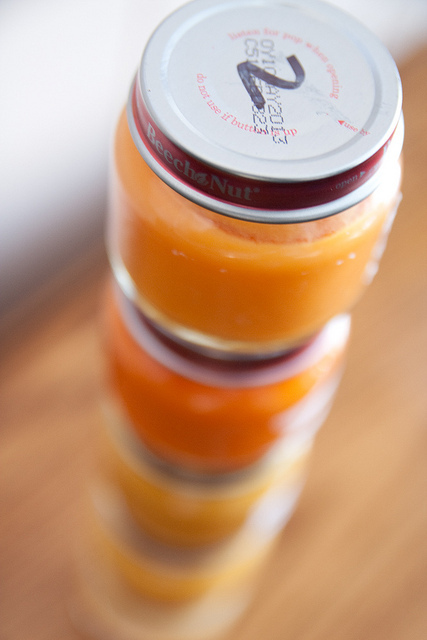 In my transition to make healthy lifestyle, especially food-wise, a priority in my life again, I've been putting a lot of focus (and time) on my newborn's baby food. I want to give her the best start possible as she's growing and developing a healthy digestive, immune, endocrine, and all those other amazing systems affected by the food we eat. My now-toddler started crying when I finished nursing her around four months. I knew she was still hungry, but my supply just wasn't keeping up. I refused to switch to formula, so I tried a couple of things. 1. I started taking supplements that boosted my supply. They worked, but because they were so expensive, I didn't keep up with them as I should have, and my supply went back down again. 2. I tried pumping at random hours of the night. Since my hubby gets up at an ungodly hour to go to work, if I wasn't already up feeding, I got up with him and pumped. Both helped a little but not enough. So, I decided that it was time to introduce solids. I went out and bought organic rice cereal, mixed it with what little milk I had pumped, and we were on to solids. Soon I was adding bananas, avocados, sweet potatoes, and whatever age-appropriate stage-one organic baby food I could find. I wasn't patient enough to introduce one food at a time, and before too long, her face started breaking out into circular red patches. And later they started to ooze. We switched cereal brands, switched laundry detergents, I made my own food when possible, we eliminated foods, etc., but nothing seemed to work. I finally opted for a teensy bit of steroid cream that final cleared things up. Since then we use sporadic amounts of the cream whenever her now-diagnosed eczema shows up (and it's not just on her face--it pops up everywhere). 1. Studies are now showing that babies' digestive enzymes are actually not capable of properly processing rice and oatmeal for at least the first year of their lives. Since they can't break it down properly, the body does strange things with it to try and get rid of it (e.g., eczema). 2. A good friend of ours has diabetes. He's had it since he was a kid . . . and it showed up soon after he had a steroid shot to treat a bad case of poison ivy. The doctors didn't ever tell him there was a link, but he overheard them discussing it in the hallway. Needless to say, I've approached feeding my second newborn solids a lot differently. I'll give more details in my next blog. Stay tuned.